In the world of grilling enthusiasts, one of the most common topics being debated is whether using a gas grill is a better idea than using a smoker, or vice versa. Different points of contention include health effects, financial cost, and mode of operation. 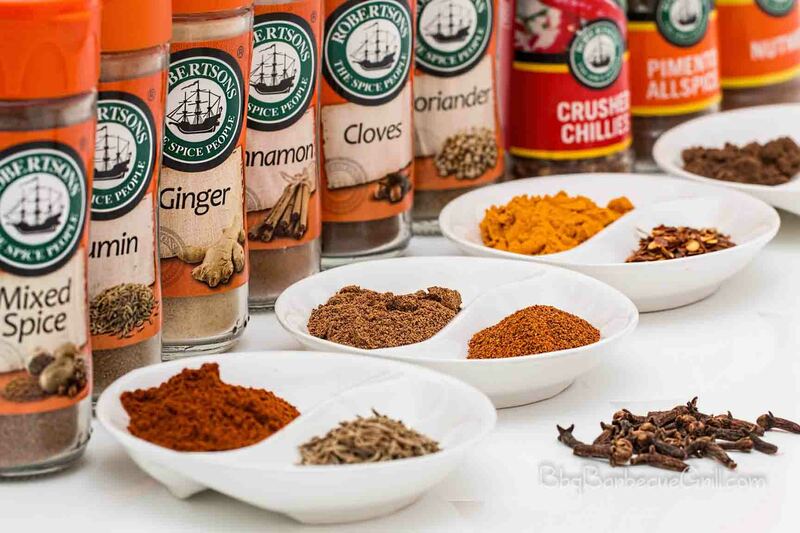 In this article, both cooking alternates will be considered thoroughly in order to help you decide which option is the best for you. Below you find a description of a smoker and a gas grill, for increased understanding of both cooking methods. If you are not really into grilling, you might be wondering what a smoker really is. A smoker is basically a grill which focuses on using hot smoke to cook. In a smoker, the food is confined to a steady flow of smoke for an extended period of time. This continual contact with smoke causes the food to gain a peculiar flavor. This particular smoked flavor is the main reason why the food is special and greatly sought after. Like the name suggests, a gas grill is a regular grill which uses gas as a heat source. Most times, the type of gas being used is propane, butane or natural gas. 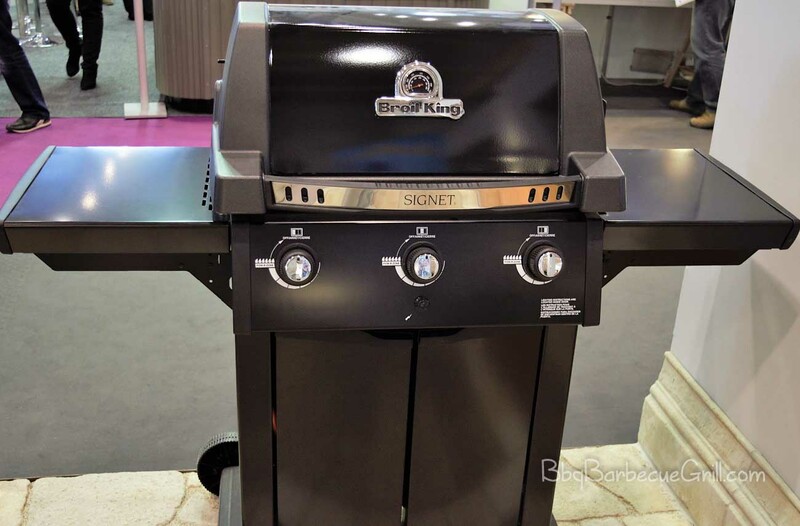 When it comes to structure, a gas grill has a regular grilling platform which has a gas cylinder attached to the bottom, either directly, or connected by a pipe. Natural gas, propane and butane all burn at very high temperatures. The high amount of heat being emitted makes the cooking ready within a short time. This makes gas grilling one of the most effective forms of grilling. A smoker employs the use of hot smoke which is provided by burning wood, while a gas grill employs the use of direct heat which is provided by burning gas. There is a significant difference between the average temperatures of the two products. Depending on the type of food being smoked, a smoker is usually keeping the temperature steady which ranges from 150° Fahrenheit to 250° Fahrenheit. On the other hand, a gas grill is much hotter, with temperatures ranging from 300° Fahrenheit to 500° Fahrenheit. Apart from the cost and mode of operation, a major point being debated is the taste of smoked food and grilled food. Take for instance, the taste of smoked chicken vs. grilled chicken. 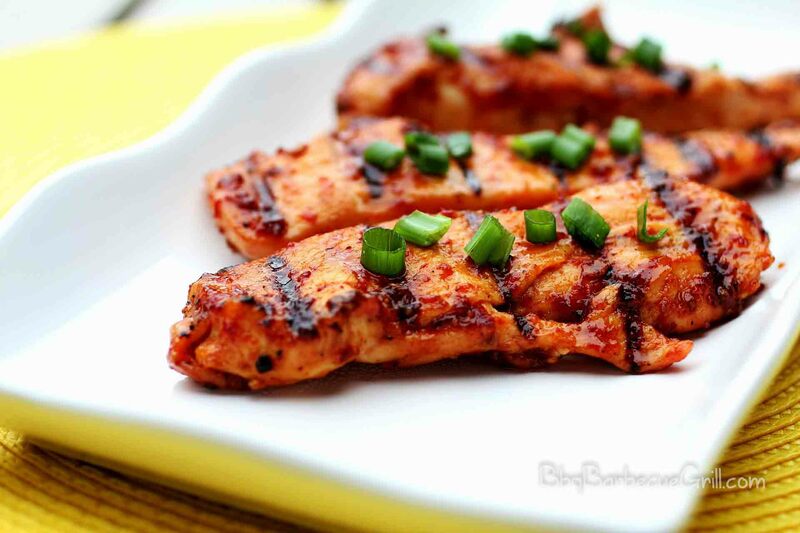 Majority of people, including grilling experts, enthusiasts, and people in general who have tasted both, claim that the taste of smoked chicken is superior than grilled chicken. The reason for this is quite obvious. Smoke has a unique flavor. Due to the lengthy period of time that hot smoke permeates through the chicken, that particular unique flavor is merged with the natural flavor of chicken, thus giving the meat a distinct smell and taste. However, this does not mean that grilled chicken does not taste good. After all, it is no secret that chicken always tastes good, especially when it is cooked with open fire. Written below are some significant advantages and disadvantages which arise from using a smoker and a gas grill. Smoker: As discussed above, one major advantage of cooking food by smoking is the taste and flavor. Another advantage is the cost. Smokers are fueled by almost any type of wood in the form of wood chips. This makes the cost of using a smoker to be lower, since wood is cheap and easily accessible. Charcoal can also be used as an alternative fuel option in a smoker. Also, using wood as fuel for cooking reduces some forms of environmental pollution. Instead of simply throwing away and littering the environment, wood can be recycled. Also, it has been discovered that when food is smoked properly, the overall durability of the food is high. This means that smoked food retains its taste and freshness for a long period of time. Because of this, smoking food is not only used as a means of cooking food, but as a method of preservation. Gas Grill: A great benefit that is gained by using gas grills is speed. The high amount of heat being produced by burning gas ensures that whatever is being grilled gets ready within a short time. Depending on the kind of food being grilled, the whole process might take less than an hour. Other benefits that arise from using a gas grill are versatility and ease of use. Modern gas grills have in-built technical components which make operation to be an easy affair. For instance, most gas grills can be switched on by turning a knob, and the amount of heat being released can be adjusted with a regulator. Also, gas grills burn with a flame that is mostly clean. This means that there is only a very little amount of air pollution which arises from gas grilling. Smoker: Perhaps the most notable disadvantage of smoking food is the fact that a lot of time is needed for the process. Depending on the kind of food being smoked, the whole process can last for a period of time ranging from several hours to a few days in extreme situations. And throughout the period of the smoking process, a steady amount of heat and smoke has to be supplied by burning wood. This requires an extensive amount of patience. Another disadvantage of cooking food with a smoker is the possibility of ill health effects which might arise from eating smoked food. There are nutritional researchers who claim that when food is smoked, there is a possibility that it becomes contaminated with carcinogens. This means that continuous consumption of smoked food is likely to increase the risk of getting cancer. Gas Grill: There is a major disadvantage of using a gas grill. The cost of purchase and maintenance is high. Also, food that is gas grilled does not acquire any special flavor without spices. When the points above are considered, a gas grill is probably the best option. 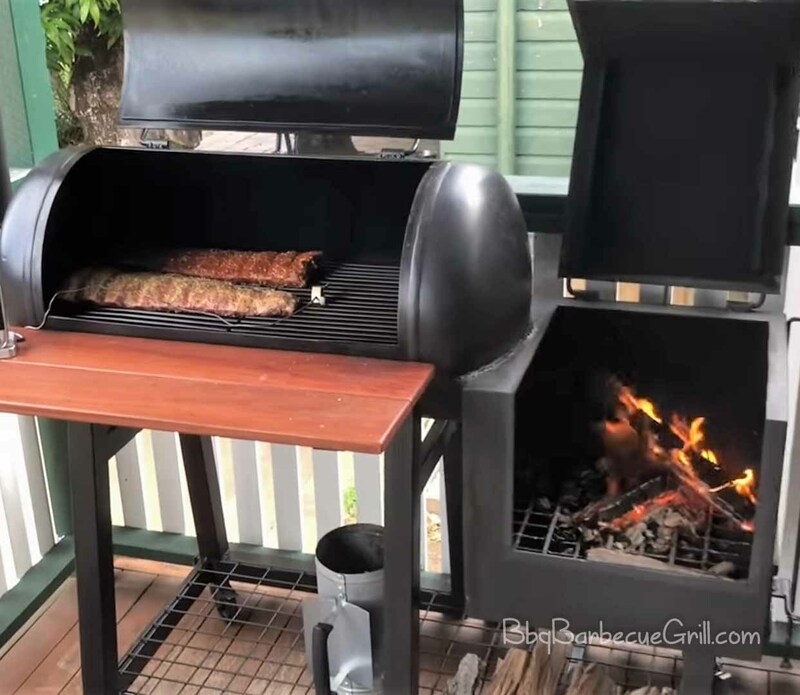 Using a smoker consumes a lot of time, and most people that cook with open flames will prefer to get their food done within a short period of time. Even though a gas grill does not give the food naturally any special flavor, it still has a nice desirable taste. The high cost of a gas grill is compensated by its speed and versatility. Once the high cost is overlooked, a gas grill is actually a great option for any grilling enthusiast.